Litigation is, ultimately, about people. This blog looks a lot at rules, statutes and the evidence of witnesses. It has also looked at the litigant’s experience of being involved in the civil courts. However (and whisper this quietly) litigators are people too. For some time I have been thinking of writing a series which passes on the experience and wisdom that litigators have accumulated. It seemed to me that there is a dearth of this type of information for civil litigators in particular. This was a project that was sidelined. 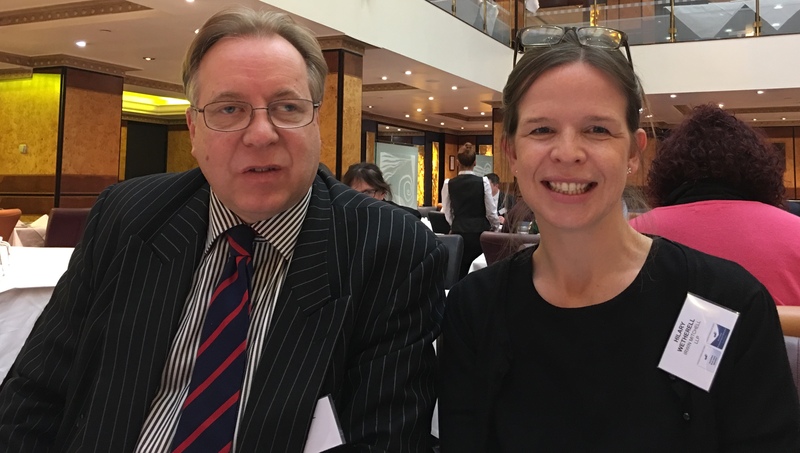 My interest was rekindled last week when I worked with Hilary Wetherell in presenting courses on fatal accidents for the Association of Personal Injury Lawyers. Hilary’s description of her role as mentor, and her description that the work has to be done “with a perfect balance of passion and tenacity”, clearly motivated the audience. It made me think it was about time I started interviewing people and help disseminate experience to a wider audience. My plan is that this is the start of a long running series. This interview gets it off to a flying start. Hilary’s official profile is here, she is a partner in the Serious Injury team at Irwin Mitchell in Birmingham . The official profile misses out many of the interesting aspects of Hilary’s life that I found out while working for her: she sings in a choir, has a fairly maverick Labrador dog (so maverick he has his own Twitter account) and is trying to restore a very old 9 acre orchard. Tell us about how you became a litigator rather than working in any other area of law. What is the one thing about the technical aspects/rules of litigation that you know now that you wish you’d known when you started out in your career? Initially the rules and procedure are quite overwhelming; everything is new and it can feel that the system is designed to “trip you up” at every turn. I can distinctly recall being given my first (relatively mature) caseload; it was terrifying and there was an urgent need to read, understand and apply the rules correctly to a wide variety of procedural situations. The rules and procedural technicalities are of course there to assist you and seeing them as a positive factor is crucially important. It was some time before this wisdom was imparted to me. What is the major aspect of the job and lifestyle of being involved in litigation that you wish that you’d known when you started? When I first qualified, we had email but much was still done by post and fax and we kept “normal” working hours; we didn’t have the ability to check in with work in the evening or over the weekend. Now, it can feel as if we are “on call” 24 hours a day, 7 days a week because the level of service expected is so radically different from 20 years ago. It can therefore be hard to switch off. I always have the ability to contact the office when I am on leave (albeit that they are excellent at ensuring they only contact me in an absolute emergency). As with so many professions, managing this issue is not something that is taught at law school and it can take some time to adjust and work out how you are going to handle it; not everyone deals with this issue in the same way and it is wrong to assume that they will do so. Find the way that works for you and your team and ensure that your clients are fully aware of it. Make sure that your system can adapt to further change. It is inevitable. My crunch question: if you had a time machine and could go back speak to yourself at the beginning of your career – what advice would you give to yourself? Don’t panic; every issue that arises every day will appear to be unique and terrifying for about 6-7 years. Then you will start to see the same things; the new issues and problems will reduce in frequency and eventually, they will all but disappear. This is experience. Use it, enjoy it and make sure that you pass it on and share it with others every day.